Easy Instant Pot Spaghetti With Italian Sausage - Dinner In 10 Minutes! 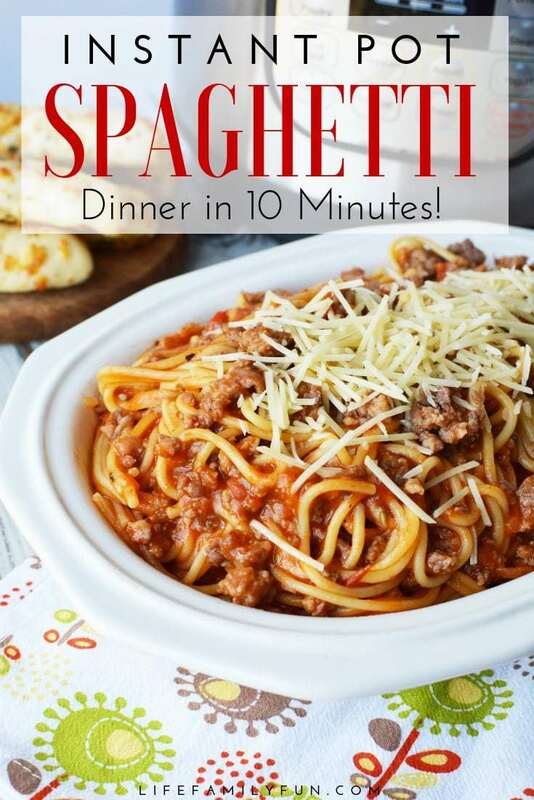 Home » Easy Instant Pot Spaghetti With Italian Sausage – Dinner In 10 Minutes! This simple Instant Pot Spaghetti With Italian Sausage recipe not only tastes amazing, it literally takes 10 minutes for everything from start to finish. 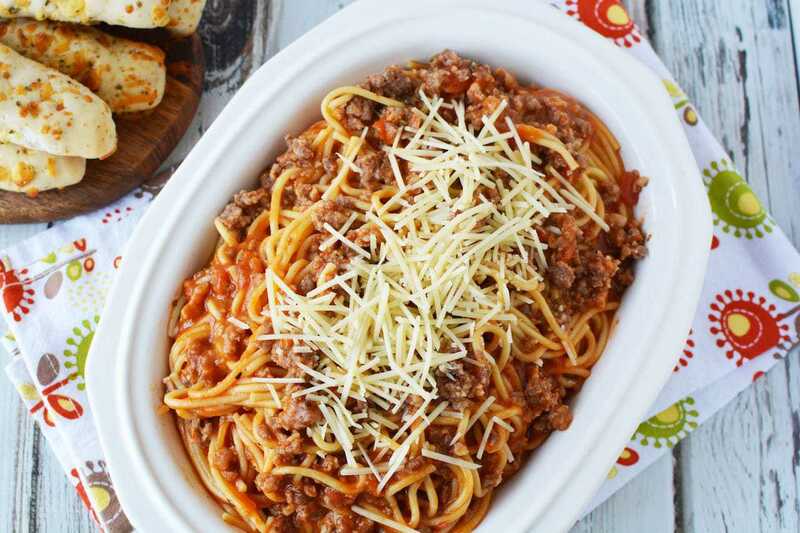 Spaghetti is one of those classic family favorites that everyone loves. The sauce, the delicious Italian sausage, the parmesan cheese, the slurping up of the noodles…just all reasons to love this classic dish even more. While spaghetti is a fun dish to eat, recipes in the past tend to take a while to cook from start to finish. In that past, but not now…This recipe that I’m about to share with you will change the way you cook spaghetti. First, you will place sausage into your pressure cooker and saute until browned. Then, you will break your pasta in half so it fits into the pot. 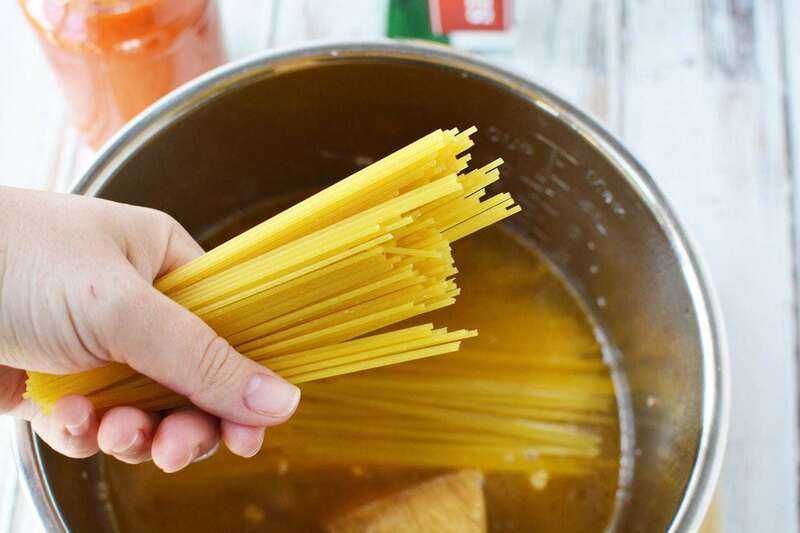 Pour your 4 cups of water into the pot and make sure all of the spaghetti is covered. Next, you will place the lid onto the instant pot and seal shut, close the pressure release valve, and set the instant pot to manual, high pressure for 5 minutes. Finally, when the cooking cycle is complete, quick release steam and open the pot. Carefully stir in sauce. Mix well and serve topped with shredded cheese. Get excited! 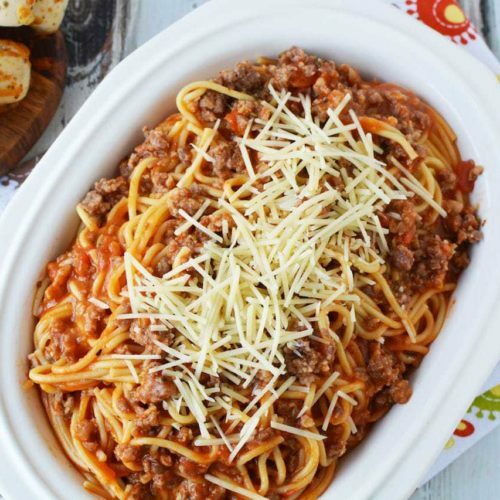 This Instant Pot Spaghetti not only tastes amazing, it literally takes 10 minutes or less for everything from start to finish. Yes, you read that right…only 10 minutes to saute the sausage and cook those pasta noodles perfectly. And the best part? 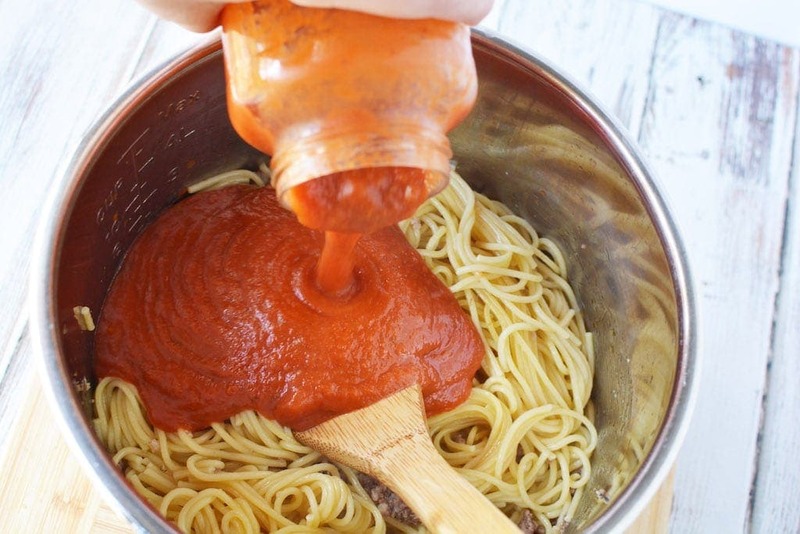 You literally pour the spaghetti noodles and sauce into your pressure cooker and wait. There possibly isn’t a simpler way to cook spaghetti out there. 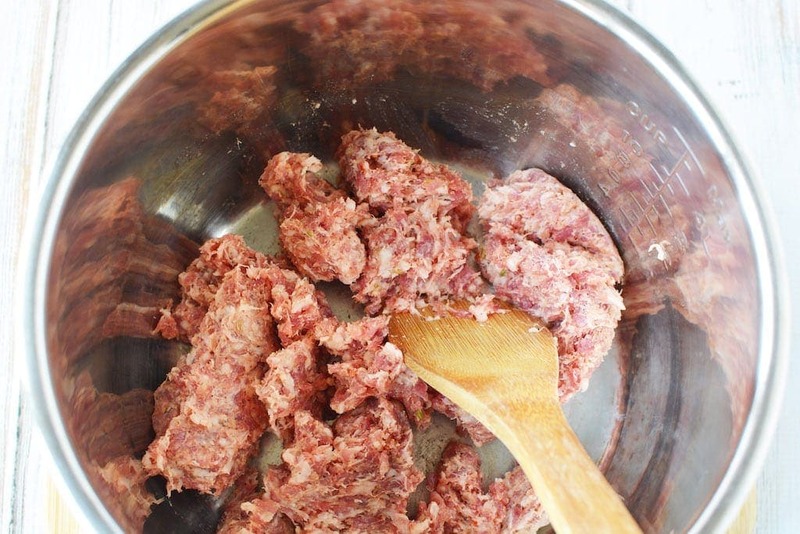 Place sausage into instant pot and sautee until browned. Break pasta in half so it fits into the pot. Pour water into pot and make sure all of the spaghetti is covered in water. Place the lid onto the instant pot and seal shut. Close the pressure release valve. Set the instant pot to manual, high pressure for 5 minutes. When cooking cycle is complete, quick release steam and open the pot. Carefully stir in sauce. Mix well and serve. Thin spaghetti was used for this recipe. If you use standard/traditional spaghetti, increase your time to 7 minutes in the IP. 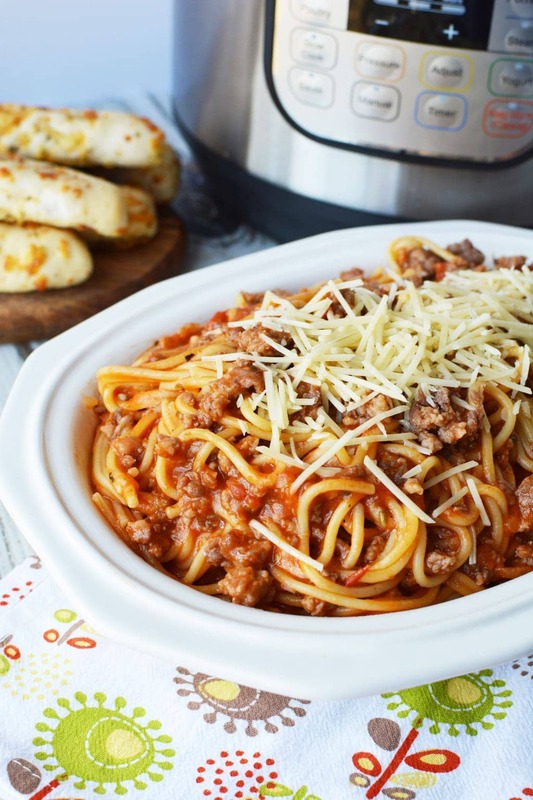 With this Instant Pot Spaghetti recipe, you and your family will be enjoying a delicious homemade spaghetti supper within a matter of minutes. If you make this recipe, please feel free to tag me on Instagram @lifefamilyfun with #lifefamilyfunrecipes.